HANGHAI (April 17, 2018) – Textron Aviation Inc., a Textron Inc. (NYSE:TXT) company, today announced at ABACE 2018 (Asian Business Aviation Conference and Exhibition) that it has received orders for 52 Cessna Skyhawk aircraft. All deliveries are expected to be completed within 2018. "China's 13th Five-Year Plan brings out favorable policies to boost general aviation development, leading to unprecedented opportunities in the aviation training market. In China, the aviation market and pilot training are growing quickly and steadily, resulting in greater demand for high-quality training aircraft," said Kevin Wu, Vice President of International Sales, Greater China and Mongolia. 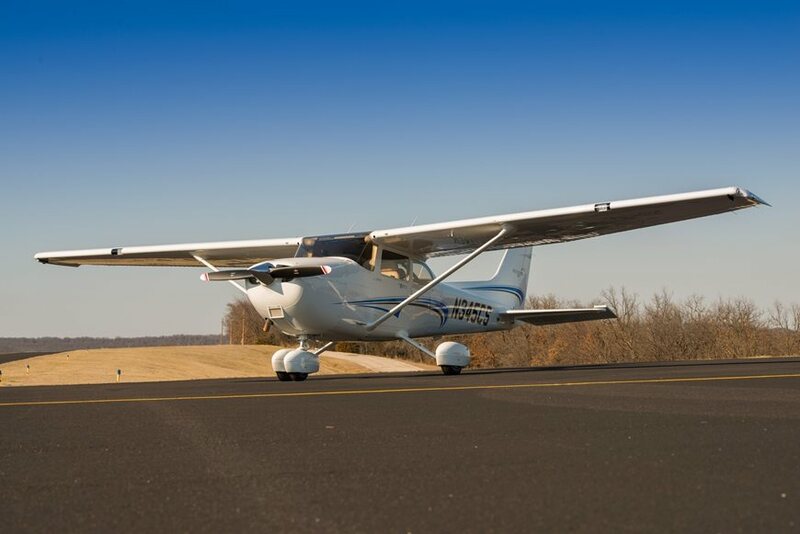 "Among Textron Aviation's highly-recognized training products, the Cessna Skyhawk is known for its reliability, flexibility and economic efficiency, and it continues to be a leader in pilot training around the world." Hairuo General Aviation Co., Ltd. ordered 39 Cessna Skyhawk aircraft. "The world-renowned Cessna Skyhawk is the ideal aircraft for pilot training," said Maosen Chen, President of Hairuo General Aviation Co., Ltd. "Many of these newly purchased Cessna Skyhawks are for firm orders from end-customers ranging from aviation academies, aviation clubs, general aviation operators, newly established general aviation enterprises and flight schools. A few will join our own fleet to meet the growing needs for our aviation training business. Along with Textron Aviation, we are committed to contributing to the development of the general aviation industry in China by improving its training, operations, sales and service system." Hubei Sky-Blue International Aviation Academy Co., Ltd ordered 13 Cessna Skyhawk aircraft. "Since its establishment in 2007, Hubei Sky- Blue International Aviation Academy Co., Ltd has acquired a fleet of Cessna Skyhawks," said Song Jin, President of Hubei Sky-Blue International Aviation Academy Co., Ltd. "Authorized by Textron Aviation as a Sales Representative and a Service Facility for piston aircraft in China in 2015, Hubei Sky-Blue International Aviation Academy Co. Ltd. has been constantly developing the flight training market not only to meet the company's growth but also to support the general aviation industry in China. The company has signed purchase agreements with end-users, and there are solid prospects for the 13 units of Cessna Skyhawk aircraft to be purchased in 2018. In the next five years the company plans to purchase an additional 50 Cessna Skyhawks and some business jets." Both Hairuo General Aviation Co., Ltd. and Hubei Sky-Blue International Aviation Academy Co., Ltd. are authorized sales representatives and authorized service facilities for Cessna piston aircraft in China. Textron Aviation will continue to work with these two companies and other pilot training institutions dedicated to filling the gaps in China's flight training market and propelling the growth of civil aviation. The Skyhawk platform is the world standard for pilot training and is renowned for offering the best combination of modern features, including the leading Garmin G1000 NXi avionics system with wireless connectivity, a standard Angle-of-Attack display system and proven dependability. The aircraft's high-wing design enables superior flying characteristics ideally suited for pilot training. More Skyhawks have been delivered to customers around the world than any other type of aircraft, with more than 44,000 put into service.